Size of this preview: 800 × 417 pixels. Other resolution: 1,047 × 546 pixels. 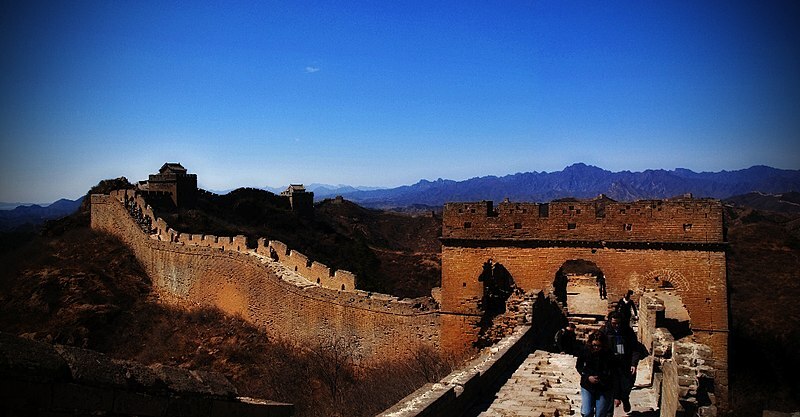 English: The Jinshanling section of the Great Wall of China. It contains 5 passes, 67 towers and 2 beacon towers. This image was originally posted to Flickr by kevinpoh at https://www.flickr.com/photos/7679455@N03/4507945736. It was reviewed on 25 July 2011 by FlickreviewR and was confirmed to be licensed under the terms of the cc-by-2.0.